When the weather warms up you will see a shift in the way that people spend their time and what the world around you looks like. The warm weather is what allows plants, trees and bushes to grow and flourish. That also means as you start to head out the door on a warmer day you will notice quite quickly that the landscape needs some major attention. The lawn and the garden should be kept throughout the year but there are times in the year that they are more abundant. The best time of the year for growth is when the temperatures just start to warm up and the weather changes. The growth will mean that you need to get out in the landscape and start to do what is needed to ensure they are able to grow. 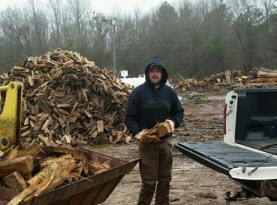 When you start to take on the landscape in the spring time you need to be able to throw out the debris. What Happens to Trees in the Spring? : The spring weather is the time of year for new growth and living things to flourish. The warm weather is the best time and season for your plants and trees to grow. The warm weather is what is needed with the added sunlight for the plants to come out of dormancy and back into growth. The first few days of the warmer whether you may go outside and see a huge change in a very small amount of time. The amount of growth that can happen is substantial in the first few days and weeks. How to Control New Tree Growth: When the weather warms up the plants, bushes, trees and flowers are all part of the landscape. They will start to flourish and this is a great time of year to have them all pruned. Some of them should be pruned back when the weather is still a little colder. That way when it does get warm enough the plants can start from where you want them to. Then they can flourish out and expand. The excess growth can become too overwhelming and that means that you want to have some of the growth trimmed back. 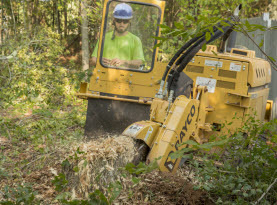 If you are doing the entire yard and property there will end up being a lot of debris. You need to be sure that you know the best way to trim back the tree and other plants. If you trim or prune too much you can create a problem with the plant. You also want to make sure that you trim enough so that it receives the nutrients and sun that is necessary. 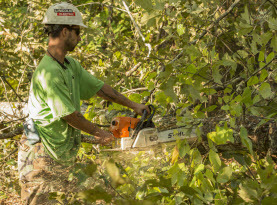 How to Get Rid of Tree Branches & Debris: If you have all the debris from your pruning and trimming left over it can be overwhelming. You need to be able to throw it out. Adding it to your trash bin is not the best way. It will take a lot of time tying up the debris and leaving small batches in the bin for the trash collector to pick up. In the mean time your property is cluttered with debris. The best option is to have your property cleared professionally and take the debris with them when they leave. 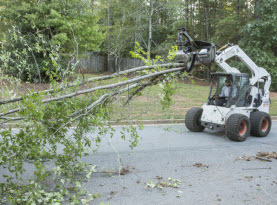 Milam’s Tree Service can come out and remove any debris that you have from pruning and trimming your trees. Call us today to make an appointment.